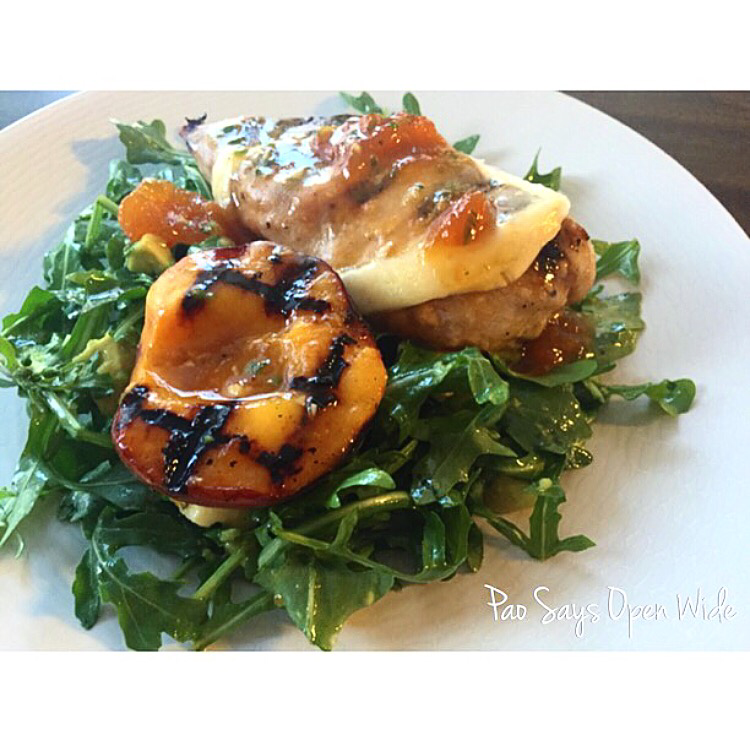 Peach Perfect: Grilled Chicken and Peaches in a Spicy Peach Glaze – Pao Says, "Open Wide!" I then put the chicken over some arugula I had tossed with a dressing made from a bit of the glaze, some apple cider vinegar, and some olive oil! 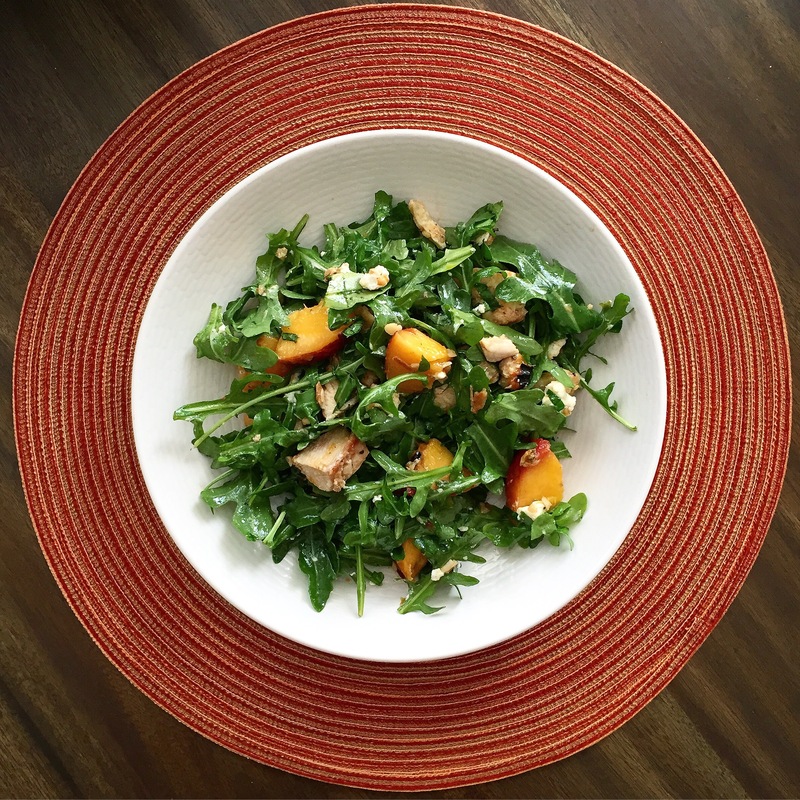 The next day, I chopped up the left over peach and chicken and tossed it in a salad with arugula, walnuts, and goat cheese. I made the dressing using the last of the peach glaze, balsamic vinegar, and olive oil. Combine the peach preserves, olive oil, soy sauce, mustard, garlic and jalapeno in a medium bowl and season with salt and pepper. Reserve 1/2 cup. Preheat the grill. Brush the chicken with olive oil and season with salt and pepper. Place the chicken skin-side down and cook until golden brown, 6 to 7 minutes. Turn over and continue cooking for 5 to 6 minutes. Brush both sides with the peach glaze and continue cooking until done, an additional 4 to 5 minutes. Place the peach halves cut side down on the grill and grill for 2 minutes. Turn over, brush with the reserved 1/2 cup of peach glaze and grill until the peaches are soft, 3 to 4 more minutes.